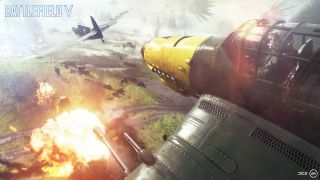 EA has let us know the system requirements for Battlefield V, and the good news is, if you’ve got a PC good enough to play Battlefield 1, then you’re set for the new game, because the necessary spec is the same. And what would that spec be? On the processor front, you need an Intel Core i5 6600K or better, or an AMD FX-6350. That must be combined with a graphics card at least as powerful as a GeForce GTX 660 (2GB) or Radeon HD 7850 (2GB). You’ll also need 8GB of system RAM, and to be running the 64-bit version of Windows 7, 8.1 or 10. Even the drive space required remains the same according to EA’s spec on the Origin store, namely 50GB. And EA specifies an internet connection of at least 512Kbps, although for a decent online gaming experience, it’s likely that you’ll need a faster line than that. We’ve only got half a year to wait for Battlefield V, as it releases in October – to be precise October 19, although Early Access players will be able to enjoy the game from October 11. This time around, the setting is World War 2, and there will be single player missions as well as the usual large-scale multiplayer mayhem (and a new four player co-op mode sitting somewhere in between). We’ve also had the revelation from EA that Battlefield V seemingly isn’t going to have loot boxes, with a player being able to unlock all items through gameplay (at least the important, non-cosmetic stuff). That’s not exactly surprising given the whole Star Wars: Battlefront debacle, which received not just hostility from players, but also politicians who are levelling accusations of loot boxes being gambling. For more details on Battlefield V, check out our feature detailing five big things you need to know about the game (including the skinny on that new co-op mode).